From the summer of 2011. One of the more humorous facts about the inner workings of this blog is that almost once a day, someone finds their way here by searching “dad shorts.” Just over a year ago, I wrote a short post about how I was shopping for summer clothing and almost talked myself into spending hard-earned Kohl’s Cash on a pair of shorts that were clearly made for men born before 1965. I tried them on. I liked them. Then I came to my senses. This episode did, however, raise an important question: while I may (always) be too young for shorts that ride that high above my knee (hold your breath, ladies), when does a man become too old to buy the dad shorts’ polar opposite (which are, course, cargo shorts)? One of my friends insists that 30 is the absolute cut-off. I’ll put the question to you, my stylish readers. 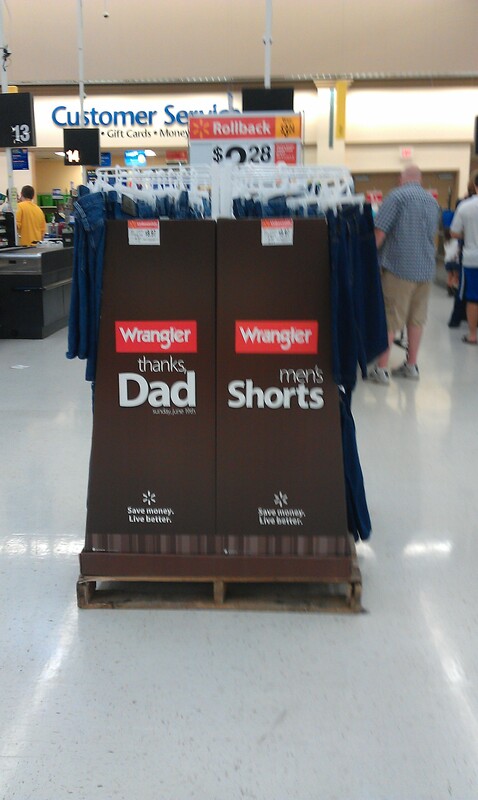 This display is supposed to say “Thanks, Dad” and “Men’s Shorts.” But we all know what it really says, and what these items really are. 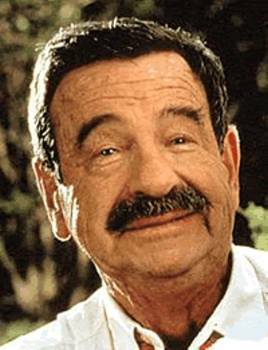 Happy Father’ Day, all you dads of America. Wrangler wants no more of your modest, tasteful ways. You know what? Forget you, Wrangler. And your sneering 1980s product lines.